Hampi, a village and a temple town in Karnataka is one of the most historically rich places. Listed under the UNESCO World Heritage Site as the Group of monuments at Hampi, this city was also at one point one of the richest cities in the world when it was in its peak. As per statistics of the year 2014, Hampi is said to be the most searched places of Karnataka online. People who visit Hampi are mostly people who love history and architecture. It is no surprise that Hampi is such a famous place for tourists that visit from all over the globe. Note:- People in TT/Mini Bus need to have dinner before the journey. I) Reach homestay, Freshen up and Have Breakfast. 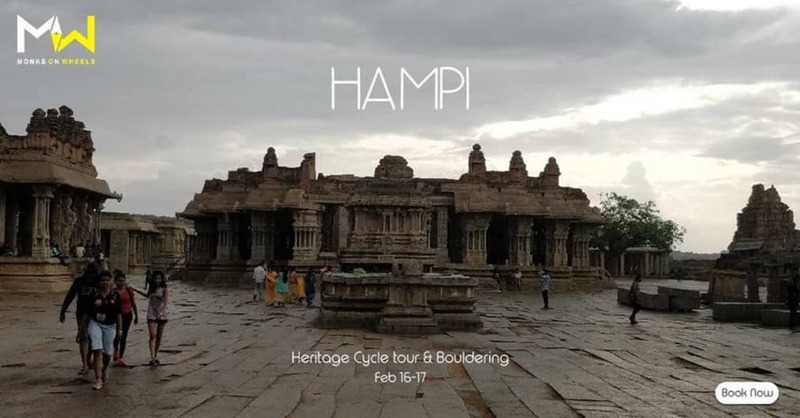 II) Grab a cycle and Start the Heritage Cycle ride in Hampi which concentrates on the architecture and history of Vijayanagara Empire that will be explained by a certified guide who will accompany us. IV) After lunch, continue the cycle ride exploring many more monuments till evening. VI) Enjoy around bonfire followed by dinner. VII) End it all with staying in tents. i) A support vehicle shall be called at the earliest for the cycle ride so if there is any problem or emergency we will have backup ready. ii) Also before the start of the ride all the cycles will be checked for conditon of the cycle, saddle height, brakes etc. iii) Accomodation will be on sharing basis. I) Wake up early in the morning and start sport climbing and bouldering with all safety gears along with professional instructors. II) Have Breakfast after the adventure sport and start the return journey to Bengaluru. III) Have lunch and dinner (both Self-sponsored) enroute. i) All adventure activities will be carried out under the supervision of trained professionals. We request everyone not to try any activities without the consent of the instructors. a) Breakfast on Day 1 & 2.
b) Dinner on Day 1. 2. Accommodation on sharing basis. 4. All the activities mentioned in the itinerary are included in the package. Transportation & Fuel costs, Lunch on Day 1 & 2 and Dinner Day 2 other things not mentioned above. 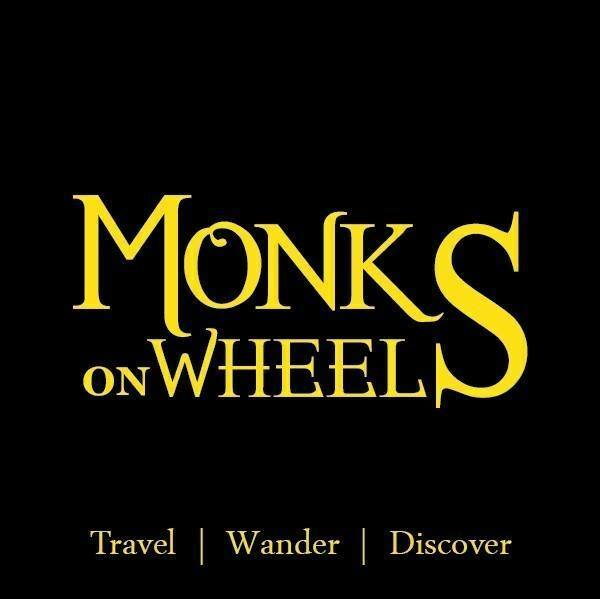 1) People can make their own transportation arrangements or we could do that for you. The transportation arranged by us will INCUR ADDITIONAL CHARGES. 2) We need a minimum of 10 people or the event might be cancelled with full refund. 3) We need a minimum of 5 bikes to organize a bike ride or else they have to reach the location provided by us on their own at the mentioned time. The surroundings around the Home stay will make you feel very close to Nature.